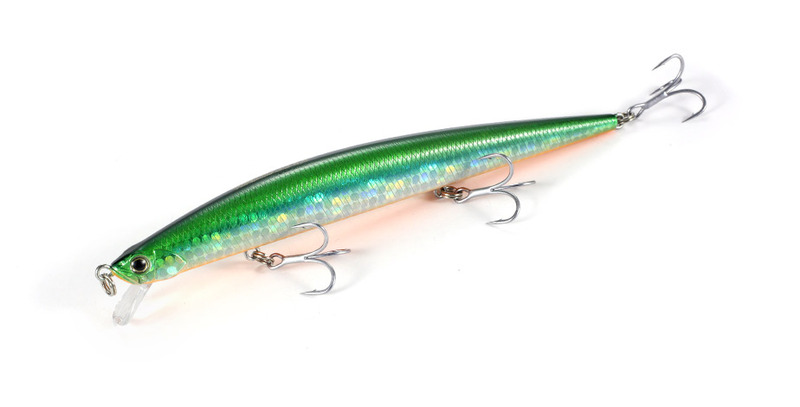 The Flyer 140 is a sinking model created based on the Tide-Minnow Slim 140 with special attention paid to its casting capabilities. 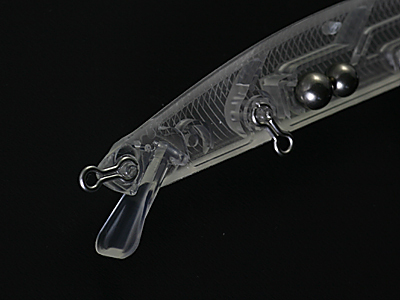 By adapting the action response from the sophisticated original model, we have created a top of the line lure. Not only does the overwhelming castability give the angler an advantage in strong winds and the ability to explore hard to reach areas, but it is also a great entry model for beginners who are learning to cast. 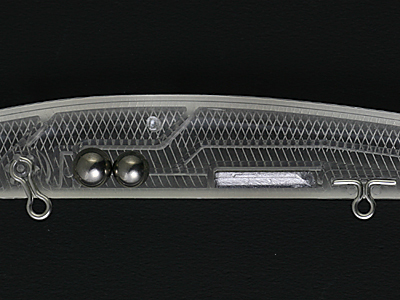 We have changed the moving weight from steel balls to higher density tungsten balls. With the increase in weight, we have found that the modified model has a 20% greater carry while casting than the original model. The angler will be able to notice a great difference when casting into strong headwinds. In addition to the distinctive rolling action of the original model, the modified version features an additional “wobbling” action. 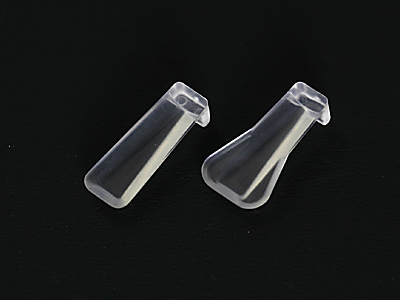 Also, the wider lip catches the water more, making the lure swim with a pronouncedly irregular action. The moving weight was changed from 5.6mm+6.4mm steel balls to 6.0mm+6.5mm tungsten balls.